Turtle Bay Dive Centre - Watamu Marine Association. The Turtle Bay Dive Centre is located in the grounds of Turtle Bay Beach Club. It is next to the Watamu National Marine Park - one of the world's best-preserved underwater reserves. Check out the new Turtle Bay Diver Centre Website!! Including watersports! The Park, encompassing Mida Creek and Whale Island, provides exceptional opportunities for both novices and advanced - level scuba divers. There are over 150 species of hard and soft corals, such as brain corals, fan corals and sponges and over 1000 species of fish. 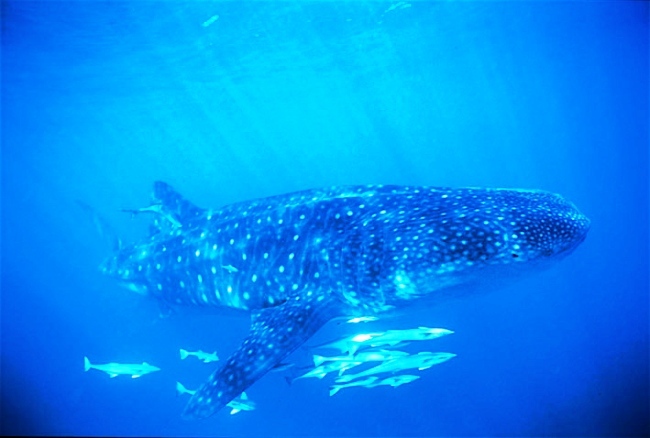 Larger species include whale shark,manta rays, barracuda and octopus. Watamu is also an important turtle breeding area - primarly Green and Hawksbill turtles but it is also possible to see Olive Ridley's, Loggerheads and Leatherback turtles. Established more than 30 years ago and well-known in Europe, the Dive Centre is situated in the hotel grounds and has immediate beach access to the Watamu Marine Park. The Centre is open seven days per week and dives are organised at least twice per day. There are two instructors at the Centre assisted by six experienced guides. Instruction is to PADI Teaching Association standards. English and German languages are spoken. The diving school is open all year except during the month of May-june. The best time to dive and snorkel in Watamu is between the last week of October and the second week of April. 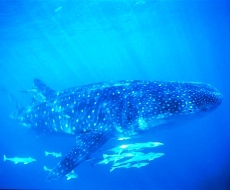 Diving on the outer reef is not guaranteed between the months June and October because of variable weather conditions. There are 20 prime diving sites between 10 and 35 minutes from the diving school by boat. Dives taken place at a depth of 10 - 30 metres. The lagoon is a ideal site for novices and provides a superb location for night dives (dependent on tides and weather) . Half-day trips with double dives can be arranged on request. The Diving School is run by professionals who are proud of their safety record. Diving is conducted in small groups of four divers per guide to ensure that high levels of safety are maintained. The warm crystal clear turquoise waters of the Indian Ocean simply invite you to play ! Enjoy a variety of activites from swimming, snorkelling, boogie boards and paddle skis to windsurfing, canoeing, sailing and scuba diving Turtle Bay Divers has its own windsurf centres where professional tuition is available for beginners and experts alike.